The Soft Surroundings team recognized the need to modernize their compute environment as well as their development process around their e-commerce platform. After being tasked by their parent company to migrate a recent acquisition into the Soft Surroundings data systems, Soft Surroundings sought the right partners to design and help migrate their e-commerce websites and core Corporate applications into AWS. By working with Six Nines and Amazon Web Services, Soft Surroundings now has a highly scalable, resilient, secure and budget-friendly infrastructure. 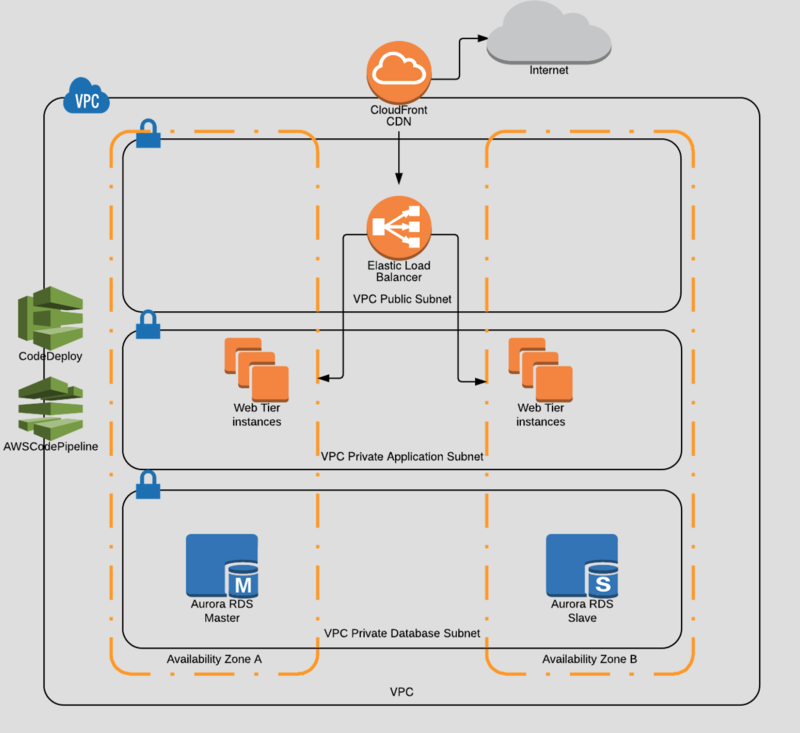 Utilizing operations tools like CloudHealth and DevOps principles, including AWS CloudFormation, AWS CodeDeploy, and AWS CodePipeline, Soft Surroundings is able to achieve high fidelity and control of their AWS environment. Headquartered in St. Louis, MO, Soft Surroundings is a lifestyle brand and retailer of women’s apparel, home, and beauty products. Releasing its first catalog in 1999, Soft Surroundings has been dedicated to making women look and feel their best ever since. Having experienced record growth in its online and catalog channels, Soft Surroundings opened its first retail location in St. Louis, MO in 2005. With over 50 retail locations from coast to coast and many more on the horizon, Soft Surroundings is continuing to expand its retail division nationally to meet the needs of its many devoted customers. Visit Soft Surroundings online at www.softsurroundings.com. When Soft Surroundings’ parent company, Brentwood Associates acquired a new company, the Soft Surroundings technical team was tasked with absorbing and expanding the new web properties and core corporate applications. Since the web properties were hosted and supported by the previous parent company, Soft Surroundings needed to quickly Architect, Build, and Migrate multiple applications to a new provider. As a key component of this new environment, Soft Surroundings wanted to implement a Development, Staging, and Production environment with a modern DevOps code deployment process. The new company’s primary go-to-market strategy is direct-to-consumer; therefore, the new environment was mission critical. They needed to focus on security, scalability, and availability while also being conscious of their resource costs. Additionally, they wanted to use this new launch as the basis for re-launching their existing Soft Surroundings websites. Soft Surroundings selected AWS as their cloud platform provider and Six Nines, an AWS Premier Consulting Partner, to architect and migrate the web properties. As part of their Cloud Adoption Framework for migrating mission-critical environments, Six Nines met with the Soft Surroundings technical team. The teams worked through all of the business and technical requirements and built a migration plan. Once Soft Surroundings approved the final architecture, Six Nines began building a repeatable deployment process by utilizing CloudFormation scripts. By effectively deploying a highly elastic and rightsized web architecture as well as other core infrastructure, Soft Surroundings could achieve their goal of lowering their operational costs, while maintaining scalability and availability. In fact, during an Amazon S3 outage that took place in early 2017, Soft Surroundings had zero downtime due to the utilization of Amazon CloudFront caching their content. By utilizing a repeatable deployment process and Amazon’s suite of developer tools, Soft Surroundings now has a secure, scalable and repeatable DevOps process. After the successful launch of the acquired company’s infrastructure, Soft Surroundings was able to reuse the CloudFormation Templates and CodeDeploy/CodePipeline process. Then, using those tools, they were able to launch the Soft Surroundings main website as well as their outlet website, a highly scalable WordPress blog, internal web administration, and internal web order entry. Six Nines’ Cloud CIO™ product provides ongoing cost optimization and resource monitoring services by utilizing the CloudHealth Technologies SaaS product, CloudHealth, in addition to security assessments and quarterly financial reports. Partner Overview: Six Nines IT is an Advanced AWS Consulting Partner and the Premier Information Technology consulting company specializing in helping businesses move to the AWS cloud, as well as optimizing existing architecture. They are a team of proven professionals who are passionate about technical solutions.